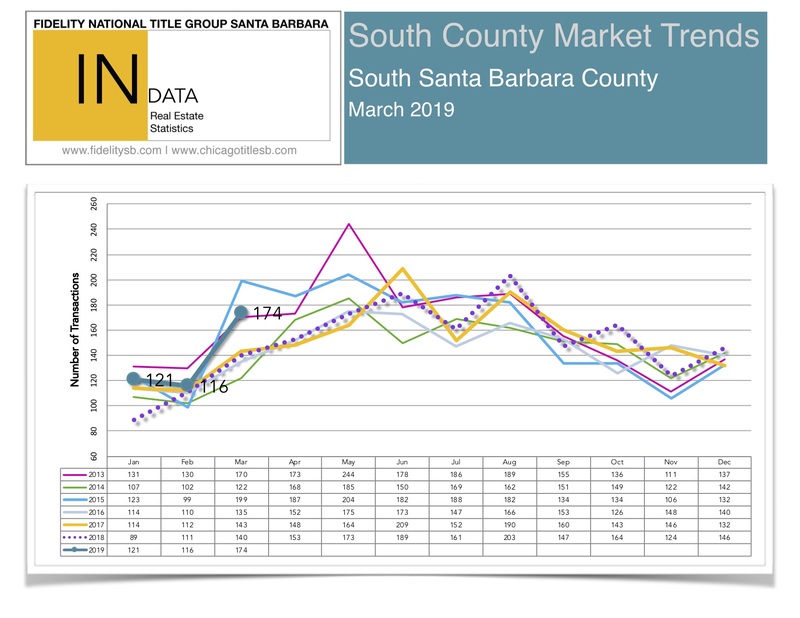 The Santa Barbara South County real estate market shows trends and recent sales data for the Santa Barbara & surrounding areas. 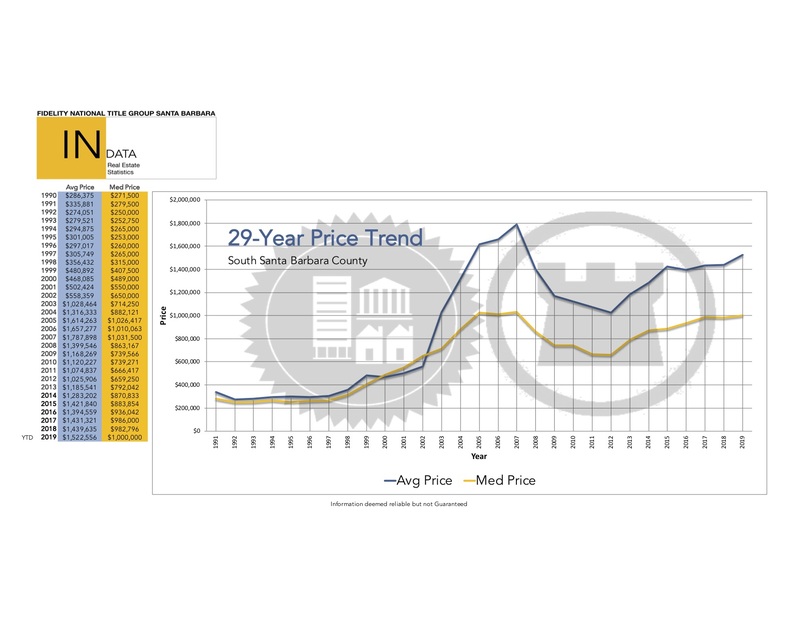 According to the 29-Year Price Trend shown below, the average price range took a slight decline in 2016, when we started to see a small increase in 2017 & 2018, then a larger increase in the last year. In the past year we have seen approx. a 6.46% increase, or approx. 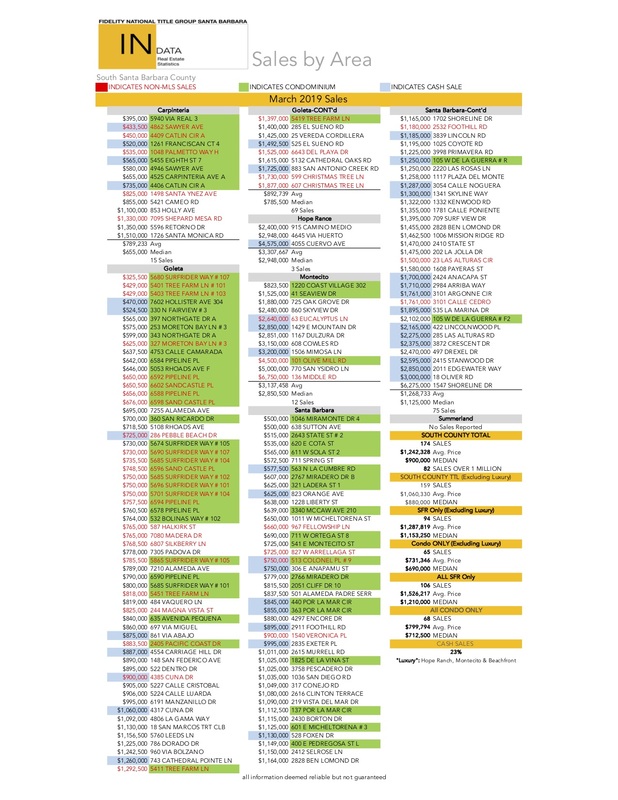 $93,000 increase in average sales prices. The median price levels show a linear increase from 2011 to 2017. Over 2018, there was almost zero change in median price levels, but in the last year there has been slight increase of approx. 1.75% or ~$17,000. 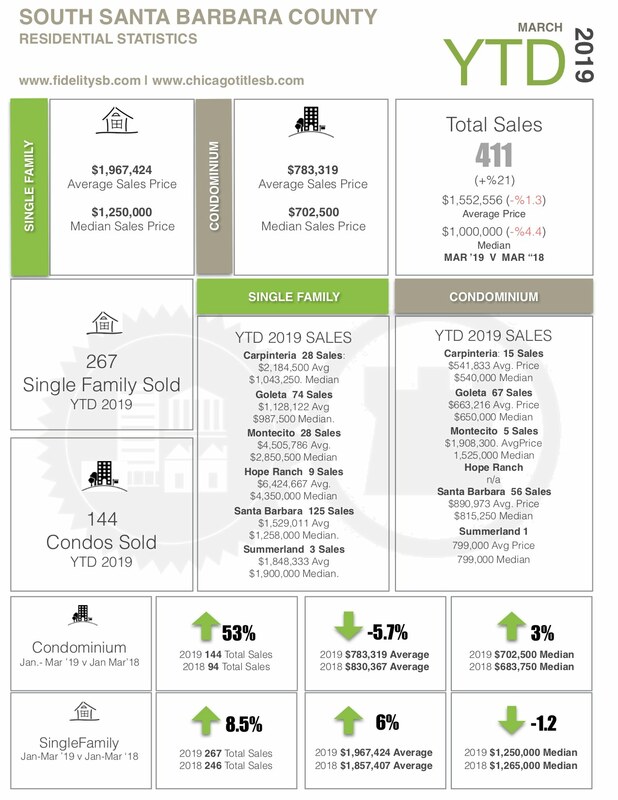 The average price in SB South County for March 2019 was approximately 1.522 million, while the median price is currently $1 million.